Suits Whirlpool refrigerators that have a filter outside the fridge, at the back of the fridge or in a nearby cabinet. Whirlpool Universal Inline Water Filter (4378411) This filter has quick disconnect couplings only. 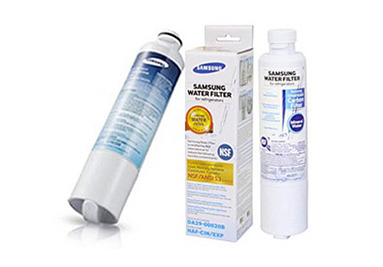 Benefits of the Universal inline charcoal-style ice and water filter: Fits all major brands Easy to install Added protection for icemaker Includes easy-to-install, push-on connectors and instructions Removes: Lime scale buildup Bad tastes Odors Chlorine Dirt Rust Reduces sediment and other particles to five microns Universal inline charcoal-style ice and water filter should be replaced: Every 6 months If you notice a decrease in the flow of water or objectionable tastes in the water or ice Used on all Whirlpool and Kenmore brands refrigerators with filter access in back. Suitable for: GENUINE 4378411 External Inline Fridge Filter suits Whirlpool refrigerators that have a filter outside the fridge, at the back of the fridge or in a nearby cabinet. It is manufactured according to Australian plumbing and drinking water standards. This fridge water filter is now preferred by most refrigerator manufacturers. It includes the latest high compression push fittings allowing it to adapt to plastic and copper tubing while also dramatically reducing the risk of leaks. 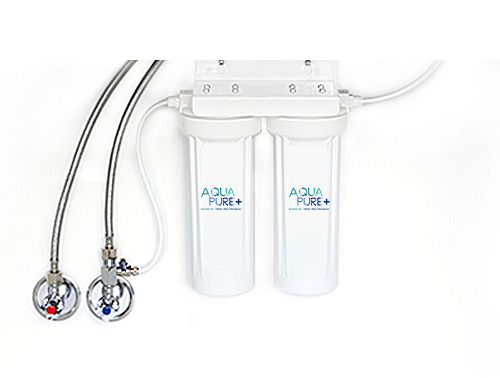 The GENUINE 4378411 Inline water filter can be used to replace: Most external inline filters with push fit connections. Filter Life: Generally refrigerator manufacturers recommend that fridge water filters be replaced every 6 months or when the "change filter" light comes on. This ensures your drinking water is always at its best, as well as protecting your Whirlpool refrigerator from harmful sediment build up. Important: * Do not use with water that is microbiologically unsafe or of uknown quality without adequate disinfection before or after the system.